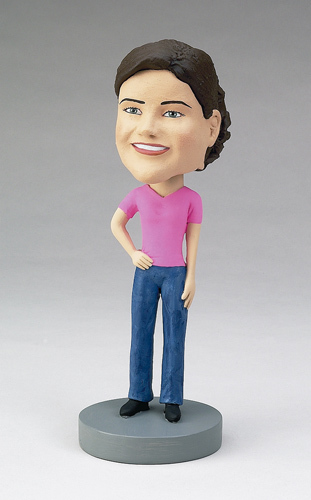 This personalized bobblehead doll can be customized to reflect your loved one's personality. She�s wearing jeans and a short-sleeve shirt, but you can change the outfit and accessories for a unique, personal present on their birthday or a holiday. This custom bobblehead is sure to get a laugh!